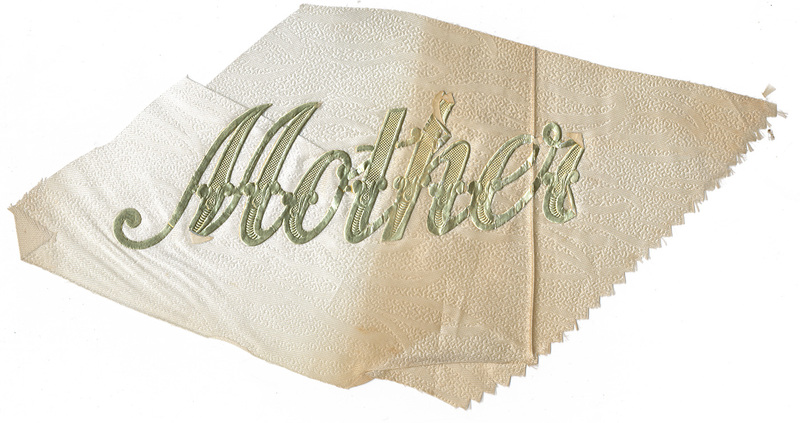 Scrap of fabric (I think it's taffeta) with embossed gilt letters. 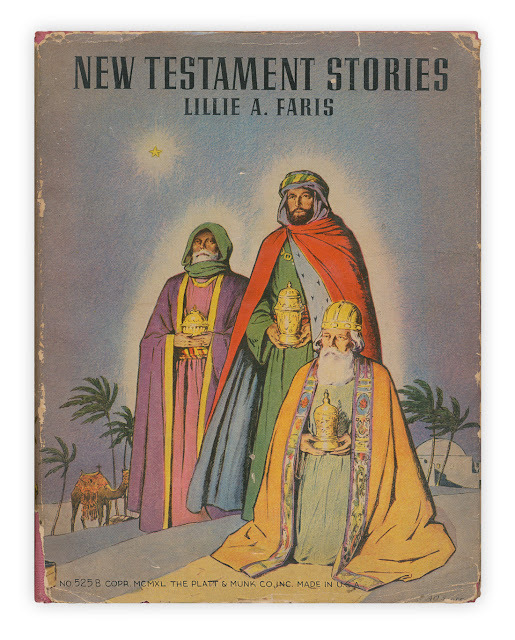 Found in "New Testament Stories" by Lillie A. Garis. Published by Platt and Munk, 1940. Looks like it is cut from a ribbon on a casket spray.